Resort picks up award thanks to green concepts. Six Senses Con Dao was honored to receive an ASEAN Spa Services Standard Award in Vietnam at the 2019 ASEAN Tourism Forum, held last week in Ha Long city, northern Quang Ninh province. The ASEAN Spa Services Standard Award is one of seven tourism standards introduced this year to recognize and honor outstanding ASEAN businesses that display an inherent respect for the culture and traditions and the principles of fair trade. The award is based on six different criteria: “The Place”, “The Product”, “The Service”, “The People”, “Management”, and “Environmental Practices”. Successfully integrating Six Senses philosophy to help guests find harmony and balance from the inside out while respecting the individual’s precise needs and wellness goals, Six Senses Con Dao delivers a special sanctuary for all the senses. The spa is surrounded by lush gardens and set against the dramatic backdrop of the Lo Voi Mountains, aligning with the belief that immersing oneself in nature will have a positive effect on mental health. With a main focus on preserving local traditions, the resort also prioritizes using locally-sourced produce and ingredients while at the same time integrating traditional techniques in its treatments. Thus, when joining any signature Vietnamese treatment, guests will be able to explore the local culture and at the same time enjoy an out-of-the-ordinary experience. Six Senses Con Dao’s spa features four indoor treatment rooms, one outdoor single treatment sala, a yoga pavilion, a nail bar, and an alchemy bar, offering a wide range of holistic rejuvenation and locally-inspired beauty treatments together with an extensive menu of signature therapies, customized yoga wellness programs, and recently launched Ayurvedic treatments. Six Senses Con Dao is set in a protected national marine park on Con Dao Island, off Vietnam’s southern coast. Comprising 50 contemporary private pool villas, the resort has been recognized as a top eco lodge by National Geographic Traveler. 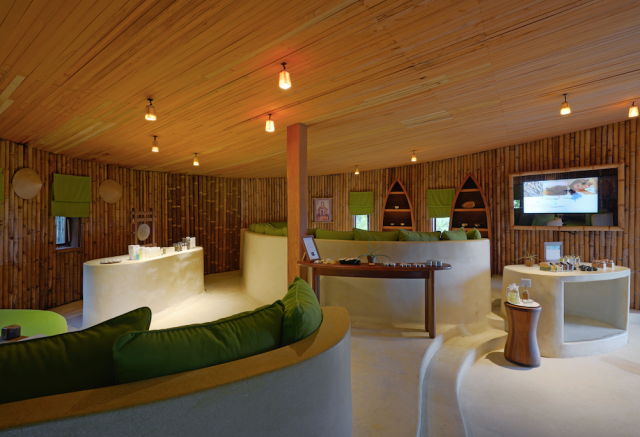 Six Senses Hotels Resorts Spas operates two hotels, 15 resorts, and 31 spas in 21 countries and territories under the brand names Six Senses, Evason, and Six Senses Spas. The portfolio will triple over the next five years, with resort, hotel and spa openings underway in Austria, Bhutan, Brazil, Cambodia, China, India, Indonesia, Israel, St. Kitts and Nevis, Spain, Switzerland, Taiwan, Thailand and the US. The ASEAN Tourism Standard Award is an initiative undertaken by all ten ASEAN member states to encourage stakeholders in their respective countries to further improve standards in terms of sustainable tourism services. With the main purpose of setting the standard in tourism services essential for enhancing the quality of tourism products and services, as well as promoting responsible management among tourism businesses and stakeholders in the region, ASEAN has created seven tourism standards under the auspices of ASEAN National Tourism.